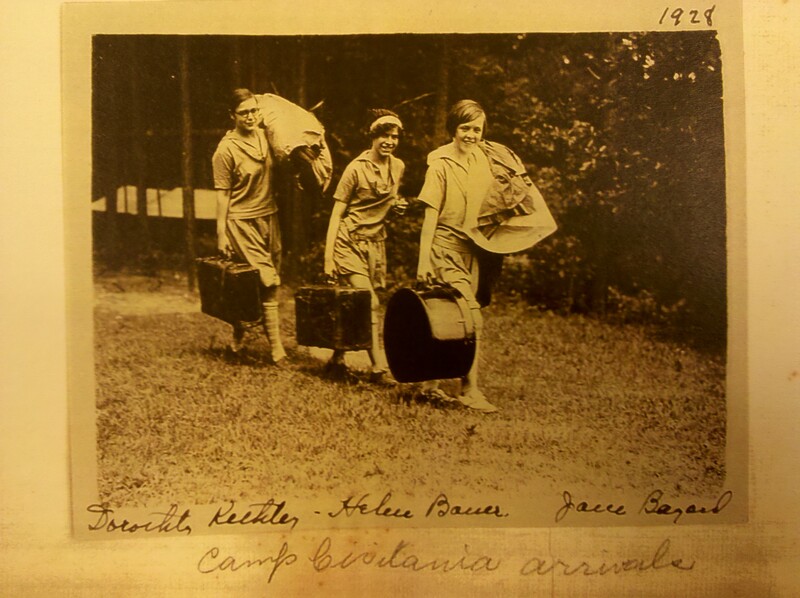 Happy Fourth of July from the Girl Scouts of Greater Atlanta Archives! 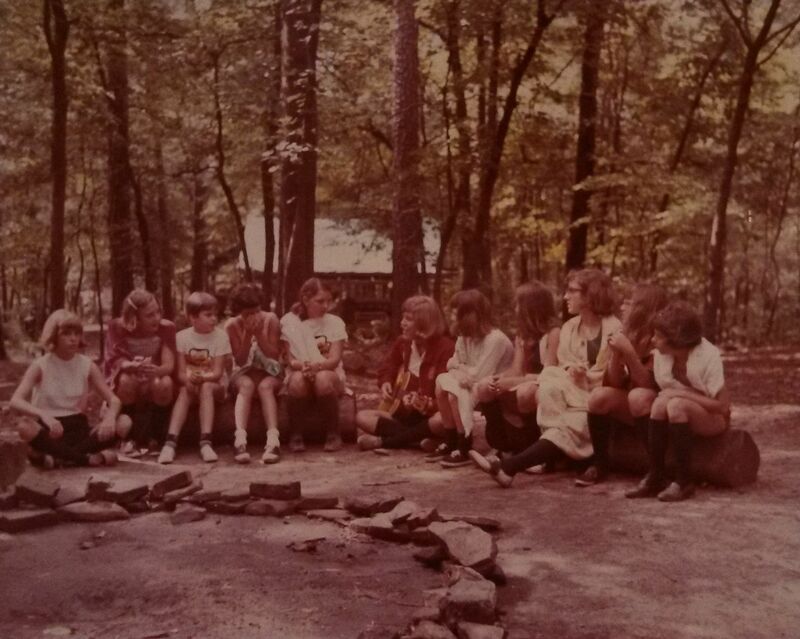 This photograph of a Girl Scout flag ceremony at Camp Civitania is from the collection of Mrs. Frank Holland, first president of the Atlanta Girl Scout Council (now Girl Scouts of Greater Atlanta). 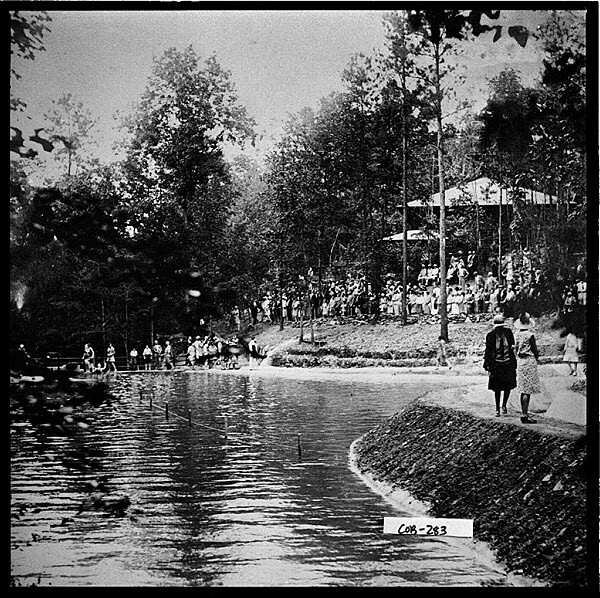 She created a wonderful scrapbook of photographs from the camp, documenting the beginnings of the oldest Girl Scout camp in the Atlanta Area. 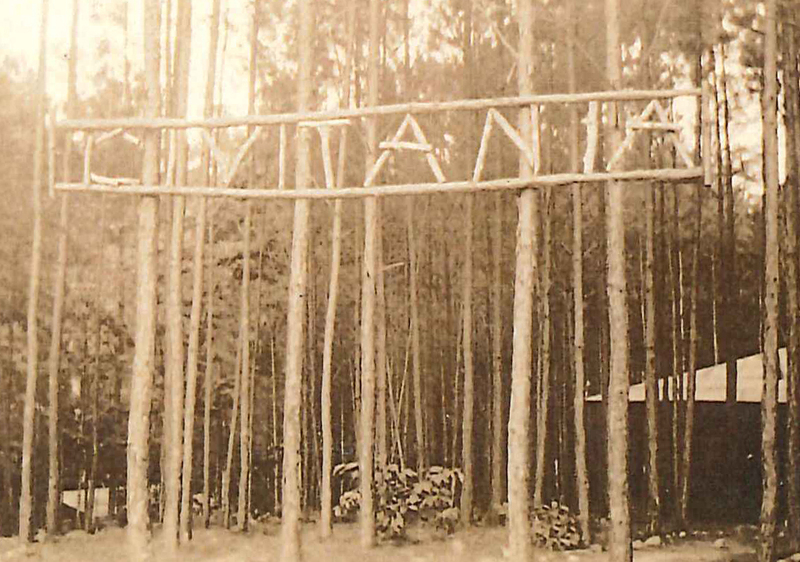 This campsite, founded as Camp Civitania and now known as Camp Timber Ridge, is located in Mableton, Georgia, east of Atlanta. 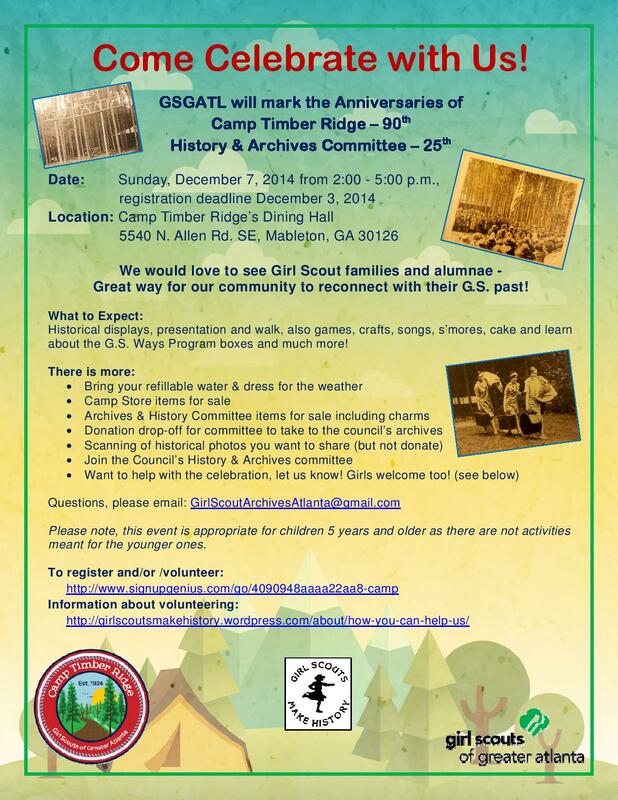 It is also located right next to the headquarters of the Girl Scouts of Greater Atlanta. 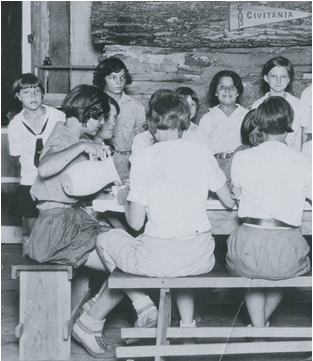 Section 8 of Scouting for Girls: Official Handbook of the Girl Scouts (1925) is entitled “What a Girl Should Know About The Flag.” It includes a description of the flag (with 48 stars), a history of the flag, how to make and draw the flag, patriotic songs, and parade formations. There is also information on “Respect Due the Flag,” which outlines how the flag should be handled and flown. Flag ceremonies continue to be one of the important traditions that Girl Scouts participate in today. 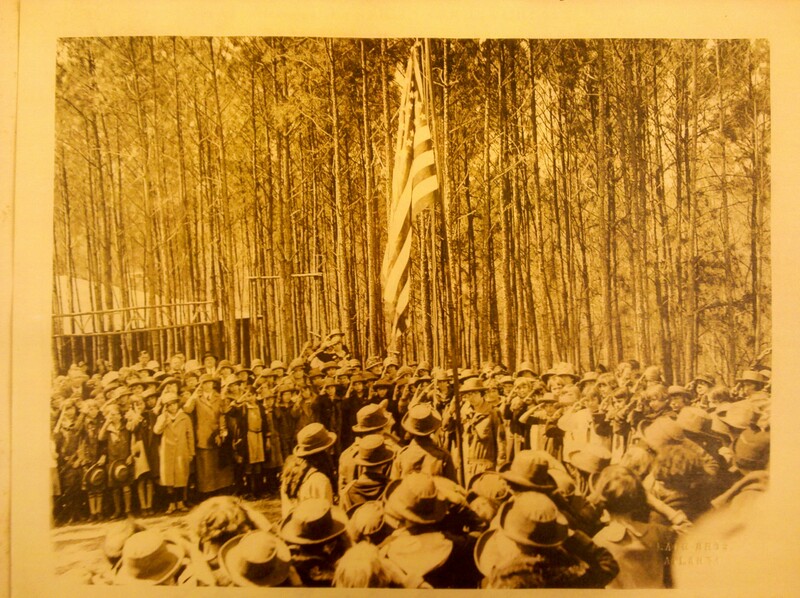 The website of the Girl Scouts of the USA provides information about current flag ceremonies.